Spain’s Supreme Court has rejected a request from six jailed pro-independence politicians to leave prison in order to take part in the campaigns for the Spanish general election on 28 April, as well as the municipal and European elections on 26 May. 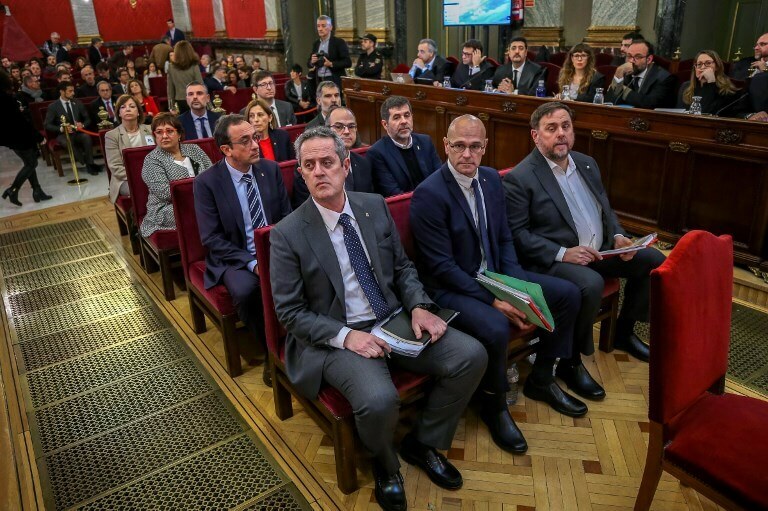 Former Catalan vice president Oriol Junqueras and former Catalan ministers Raül Romeva, Josep Rull, Jordi Turull and Joaquim Forn, along with former activist turned MP Jordi Sànchez, have spent over a year in custody and are being prosecuted for their part in the 2017 independence bid. Junqueras and Sànchez are leading candidates in the Spanish general election for Esquerra Republicana (ERC) and Junts per Catalunya (JxCat), the two ruling parties in Catalonia, with Romeva, Rull and Turull also standing for one of the two pro-independence parties. Joaquim Forn, Catalonia’s former interior minister, is the JxCat candidate for Barcelona mayor. However, the Supreme Court has also dismissed his request to be released so that he can take part in the local election campaign. The court also dismissed the argument that keeping the politicians in custody infringes their rights to a proper defence, arguing that they are allowed to sit next to their lawyers in court, and are freely allowed to meet with them during recesses.